People living with kidney disease can benefit greatly from expert pain and symptom management, skilled communication about priorities for care over time, family caregiver support, and care coordination. These palliative care skills are essential for all health professionals, but are especially critical for clinicians serving people with advanced organ failure, such as end stage kidney disease (ESKD). Research demonstrates that core palliative care skills training for nephrology fellows is lacking,12,13 but these competencies are key to support delivery of the highest quality care by the entire interdisciplinary team. 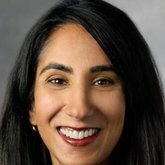 Perhaps due to poor quality of life and the burden of dialysis itself, in one study as many as 60% of patients reported regret about starting dialysis and nationally, more than 20% of older patients withdraw from dialysis.2,6 And although survival with dialysis treatment has improved, the life expectancy of the average older adult patient receiving dialysis is similar to that of patients with incurable cancers; yet most patients have little prognostic awareness.1,7 Compared to patients with heart failure or cancer, dialysis patients have more frequent hospitalizations and invasive procedures at the end of life and less use of hospice services.8 This population would seemingly be fit for advance care planning, yet use of advance directives even in nursing home residents on dialysis remains low.9 This suggests a great need for kidney supportive care, but implementation is lacking. The reality is that nephrologists will need to provide the core elements of palliative care. Dual nephrology and palliative care training fellowships exist but in only a few institutions (e.g., Mount Sinai). Other nephrology programs have chosen to offer electives or didactics in palliative care. For a specialty focused on the care of patients with serious illness, unstructured and elective training is simply not enough. Rather, formal skills training is necessary to build competence in core palliative care skills. In particular, communication skills training is needed so that nephrologists are equipped to have conversations about achievable goals for care during ESKD. Programs designed from within nephrology using cases relevant to kidney disease are likely to have greater acceptance. For a specialty focused on the care of patients with serious illness, unstructured and elective training is simply not enough. Rather, formal skills training is necessary to build competence in core palliative care skills. The NephroTalk created communication skills workshops for nephrology fellows and focused on the skills of delivering serious news and defining achievable care goals with older adults. A preliminary evaluation of this skills workshop method suggests it is effective—fellows who participated in the program from Duke, Harvard, and the University of Pittsburgh reported improved skills and preparedness for serious illness conversations.14,15 NephroTalk Train-the-Trainer workshops advanced this skill set, by training 12 nephrology educators how to teach these communication skills to others, primarily trainees. Since not everyone can attend in-person trainings, serious illness conversation guides are another approach to disseminate communication skills.16,17 The is one example of a tool that could be utilized by clinicians who care for patients with ESKD. The guide facilitates shared decision making by assessing understanding, preferences, values, worries, and tolerance for trade-offs. A communication intervention based on the Serious Illness Conversation Guide is currently being tested at a dialysis unit affiliated with Brigham and Women’s Faulkner Hospital. Given the central role of the interdisciplinary team in delivering high quality care for people with ESKD, educational efforts should also include other members of the interdisciplinary team. Kidney nurses, social workers, technicians, pharmacists, and dieticians play a key role in identifying and tending to suffering among our patients. Patients rely on dialysis staff to address symptom burden, psychosocial and spiritual needs, and advance care planning.2 However, these roles are not well delineated in dialysis care, staff are not trained to address these needs, and the quality of communication is poor.18 Little is known about dialysis and clinic nurses’ perspectives or level of knowledge on advance care planning or palliative care. And low acceptance or misunderstanding of palliative care and its differentiation from hospice could impede communication efforts. To this end, the American Nephrology Nurses Association offers online resources for nurses that focus on advance care planning, symptoms, and facilitating timely hospice referral for patients with ESKD. At the University of Vermont, a communication skills workshop for dialysis nurses and social workers resulted in improved preparedness in key communication domains, including demonstrating empathetic behavior, as well as eliciting patient’s goals and spiritual concerns (unpublished). A multicenter study is underway at the University of New Mexico and Baystate Medical Center to determine the impact of a communication intervention delivered by social workers trained in eliciting goals of care and prognostic communication. The outcomes measured will be the impact of the communication intervention on hospice referrals, quality of discussions about priorities for care, and patient and family satisfaction.19 The investigators plan to recruit 105 patients across 16 dialysis units in Massachusetts and New Mexico and compare their outcomes to a retrospective cohort. 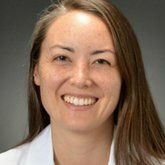 We have learned that nephrology fellows, educators, and staff desire communication skills, and that practice improves preparedness in a variety of communication domains. Communication skill-development tools used in other disciplines appear to be transferrable to nephrology. Further studies are necessary to determine what features of serious illness communication in dialysis patients are related to patient-centered outcomes such as patient and family experience of care. Some of these experiences are already being captured in the in-center hemodialysis Consumer Assessment of Healthcare Providers and Systems (CAHPS) survey required by Medicare. 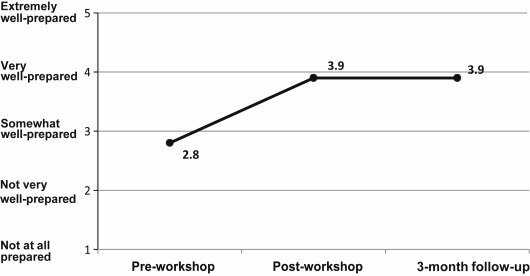 Ideally, effectiveness of any skills training workshop would be measured by directly observed improvement in skills and attaining a level of competence sufficient for practice. Members of Center to Advance Palliative Care (CAPC) have access to online communication skills training courses with free continuing education credits for ALL frontline clinicians. The Communication Skills curriculum, along with Pain Management and Symptom Management, are great ways for all clinicians to improve their core skills. Check to see if your organization is already a CAPC member. For additional communications skills training opportunities, you can also visit the Communication Skills Pathfinder. United States Renal Data System. USRDS annual data report: Epidemiology of kidney disease in the United States. National Institute of Diabetes and Digestive and Kidney Disease. 2017. Davison SN. End-of-life care preferences and needs: perceptions of patients with chronic kidney disease. Clinical Journal of the American Society of Nephrology: CJASN. 2010;5:195-204. Erickson KF, Zhao B, Ho V and Winkelmayer WC. Employment among Patients Starting Dialysis in the United States. Clinical Journal of the American Society of Nephrology: CJASN. 2018. Davison SN and Jhangri GS. Impact of pain and symptom burden on the health-related quality of life of hemodialysis patients. Journal of Pain and Symptom Management. 2010;39:477-85. Kopple JD, Shapiro BB, Feroze U, Kim JC, Zhang M, Li Y and Martin DJ. Hemodialysis treatment engenders anxiety and emotional distress. Clinical Nephrology. 2017;88:205-217. Executive Summary. American Journal of Kidney Diseases. 2015;65:S1-S16. Wachterman MW, Marcantonio ER, Davis RB, Cohen RA, Waikar SS, Phillips RS and McCarthy EP. Relationship between the prognostic expectations of seriously ill patients undergoing hemodialysis and their nephrologists. JAMA Internal Medicine. 2013;173:1206-14. Wong SP, Kreuter W and O’Hare AM. Treatment intensity at the end of life in older adults receiving long-term dialysis. Archives of Internal Medicine. 2012;172:661-3; discussion 663-4. Kurella Tamura M, Liu S, Montez-Rath ME, O’Hare AM, Hall YN and Lorenz KA. Persistent gaps in use of advance directives among nursing home residents receiving maintenance dialysis. JAMA Internal Medicine. 2017;177:1204-1205. Berger GN, O’Riordan DL, Kerr K and Pantilat SZ. Prevalence and characteristics of outpatient palliative care services in California. Archives of Internal Medicine. 2011;171:2057-2059. Davison SN, Levin A, Moss AH, Jha V, Brown EA, Brennan F, Murtagh FE, Naicker S, Germain MJ, O’Donoghue DJ, Morton RL and Obrador GT. Executive summary of the KDIGO Controversies Conference on Supportive Care in Chronic Kidney Disease: developing a roadmap to improving quality care. Kidney International. 2015;88:447-59. Shah HH, Monga D, Caperna A and Jhaveri KD. Palliative care experience of US adult nephrology fellows: a national survey. Renal Failure. 2014;36:39-45. Combs SA, Culp S, Matlock DD, Kutner JS, Holley JL and Moss AH. 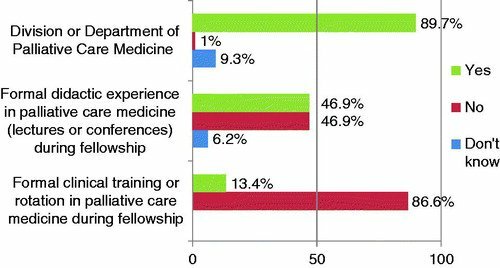 Update on end-of-life care training during nephrology fellowship: a cross-sectional national survey of fellows. American Journal of Kidney Diseases: The Official Journal of the National Kidney Foundation. 2015;65:233-9. Cohen RA, Jackson VA, Norwich D, Schell JO, Schaefer K, Ship AN and Sullivan AM. A nephrology fellows’ communication skills course: an educational quality improvement report. American Journal of Kidney Diseases: The Official Journal of the National Kidney Foundation. 2016;68:203-211. Schell JO, Green JA, Tulsky JA and Arnold RM. Communication skills training for dialysis decision-making and end-of-life care in nephrology. Clinical Journal of the American Society of Nephrology: CJASN. 2013;8:675-80. Koncicki HM and Schell JO. Communication skills and decision making for elderly patients with advanced kidney disease: a guide for nephrologists. American Journal of Kidney Diseases: The Official Journal of the National Kidney Foundation. 2016;67:688-95. Mandel EI, Bernacki RE and Block SD. Serious illness conversations in ESRD. Clinical Journal of the American Society of Nephrology: CJASN. 2017;12:854-863. Janssen DJA, Spruit MA, Schols JMGA, van der Sande FM, Frenken LA and Wouters EFM. Insight into advance care planning for patients on dialysis. Journal of Pain and Symptom Management. 45:104-113. Eneanya ND, Goff SL, Martinez T, Gutierrez N, Klingensmith J, Griffith JL, Garvey C, Kitsen J, Germain MJ, Marr L, Berzoff J, Unruh M and Cohen LM. Shared decision-making in end-stage renal disease: a protocol for a multi-center study of a communication intervention to improve end-of-life care for dialysis patients. BMC Palliative Care. 2015;14:30.